We are an expert plastering company since last 20 years in the industry. Our expert plasterer analyzes the area then they provide competitive rates and give an estimated time to finish the job. We have been in the industry for years and have built a trusting relationship with our customers that keep on recommending us. Our plasterers will keep a tidy work space and clean the area after finishing the job. 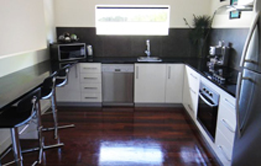 You will have the top quality plastering services with competitive rates at Williamstown Plaster. We deal in domestic as well as in commercial space.